All of today's Tempstar furnaces, air conditioners and heat pumps meet or exceed Department of Energy minimum efficiency standards. In fact, Tempstar has a complete line-up of ultra-high efficiency products that exceed the Environmental Protection Agency's Energy Star Program minimum efficiency standards. Tempstar has a number of ultra-high efficiency products offering some of the highest efficiencies available today! Tempstar units are backed by exceptional warranties, including our No Hassle Replacement™ limited warranty, which gives the original purchaser a replacement unit if the stainless steel heat exchanger should fail due to defect within the first ten years. 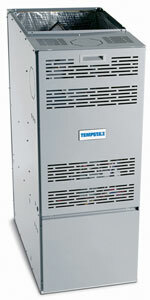 The Tempstar® SmartComfort® VC 97 Variable-Speed Modulating Gas Furnace featuring the Observer™ communicating system is designed to take your home to a new level of comfort and efficiency. Teamed with our Observer communicating wall control and the appropriate air conditioner and indoor coil, the SmartComfort VC 97 functions as part of a complete communicating home comfort system. Various components of the system “tALK” to each other electronically, fine-tuning comfort levels while maximizing energy savings. 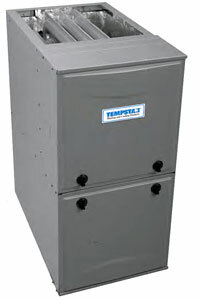 The Tempstar® SmartComfort® VT 96 Variable-Speed Two-Stage Gas Furnace featuring the Observer™ communicating system is designed to take your home to a new level of comfort and efficiency. Teamed with our Observer communicating wall control and the appropriate air conditioner and indoor coil, the SmartComfort VT 96 functions as part of a complete communicating home comfort system. Various components of the system “tALK” to each other electronically, fine-tuning comfort levels while maximizing energy savings. Wonder why a typical furnace turns on and off frequently, creating noticeable temperature swings? It could be caused by the rapid heat-up and shutdown cycle of a single-stage heating system. With a two-stage system, the furnace automatically adjusts to the temperature— normally operating at a quieter, primary stage and adjusting to full capacity to boost heat when temperatures drop. An integrated control system adjusts the flow of gas and the speed of the blower motor to each stage. When matched with select Tempstar® air conditioners and evaporator coils, the furnace’s ECM blower motor can also increase cooling efficiency, boosting your system’s SEER rating. 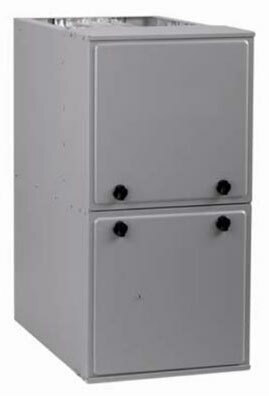 Tempstar furnaces include a number of features in every unit that ensure minimal operating noise, including a sturdy steel cabinet that is thermal lined and insulated, a sealed blower compartment and soft-mount components. What makes the Tempstar® SmartComfort® DLX 96 Gas Furnace so reliable? A unique combination of craftsmanship and quality. The SmartComfort® DLX 96 is designed for quiet performance, with a thermal lining and a sealed circulation blower motor compartment that help keep operating sounds inside the cabinet. An advanced ignition system delivers quiet, consistent start-ups. When matched with select Tempstar air conditioners and evaporator coils, the furnace’s ECM blower motor can also increase cooling efficiency, boosting your system’s SEER rating. These Tempstar® gas furnaces come with the latest engineering and design features to give you high quality—without the premium price tag. You can tell from the quiet operation that each unit is solidly built. At the heart of the furnace, the heat exchangers are constructed weld-free to prevent cracking problems and shaped to generate maximum heat. The updated technology helps improve efficiency and savings on fuel bills. Read testimonials from happy customers of ALK Contracting! Copyright 2012-2013 ALK Contracting, Inc.